Who Should Pay for the Damages Caused by California Wildfires? California Governor Jerry Brown on Tuesday proposed upending a long standing policy that holds utility companies liable for wildfire damage caused by their equipment. Critics say the change is a bailout for the state's politically powerful utilities. But supporters cite the growing prevalence of wildfires, and the fact that companies are now held liable even if they’re not found negligent. The liability question was also taken up by legislators at a special wildfire hearing at the state capital on Wednesday. 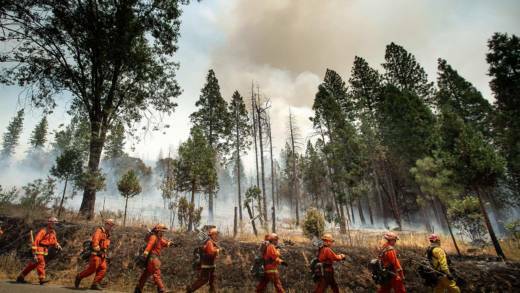 With more intense fires expected due to climate change, who should pay for the damage? We'll take up the debate.